Buffer class is a global class. It can be accessed in application without importing buffer module. string: It specifies the string data to be written to buffer. 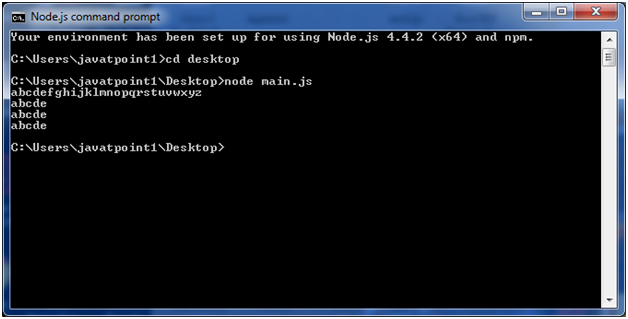 offset: It specifies the index of the buffer to start writing at. Its default value is 0.
encoding: Encoding to use. 'utf8' is the default encoding. This method is used to return number of octets written. In the case of space shortage for buffer to fit the entire string, it will write a part of the string. 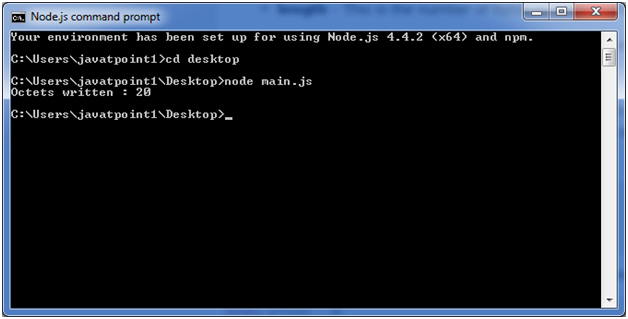 Following is the method to read data from a Node buffer. start: It specifies beginning index to start reading, defaults to 0.
end: It specifies end index to end reading, defaults is complete buffer.